It's been twenty years since Cormac Reilly discovered the body of Hilaria Blake in her crumbling Georgian home. But he's never forgotten the two children she left behind ...When Aisling Conroy's boyfriend Jack is found in the freezing black waters of the river Corrib, the police tell her it was suicide. A surgical resident, she throws herself into study and work, trying to forget--until Jack's sister Maude shows up. Maude suspects foul play, and she is determined to prove it.Cormac Reilly is the detective assigned with the re-investigation of a seemingly accidental overdose twenty years ago--the overdose of Jack and Maude's drug and alcohol addled mother. Detective Reilly is under increasing pressure to charge Maude for murder when his colleague Danny uncovers a piece of evidence that will change everything ...This unsettling small-town noir draws us deep into the dark heart of Ireland, where corruption, desperation, and crime run rife. 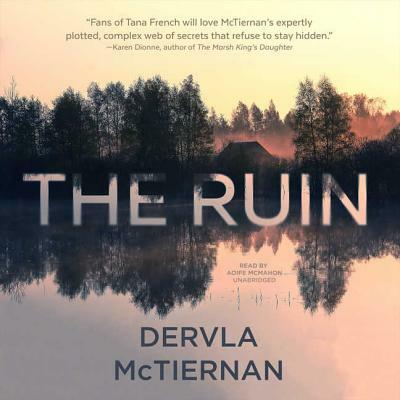 A gritty look at trust and betrayal where the written law isn't the only one, The Ruin asks who will protect you when the authorities can't--or won't.